Home | NHJH Biology (2007-08 School Year) | * THINGS YOU SHOULD KNOW! 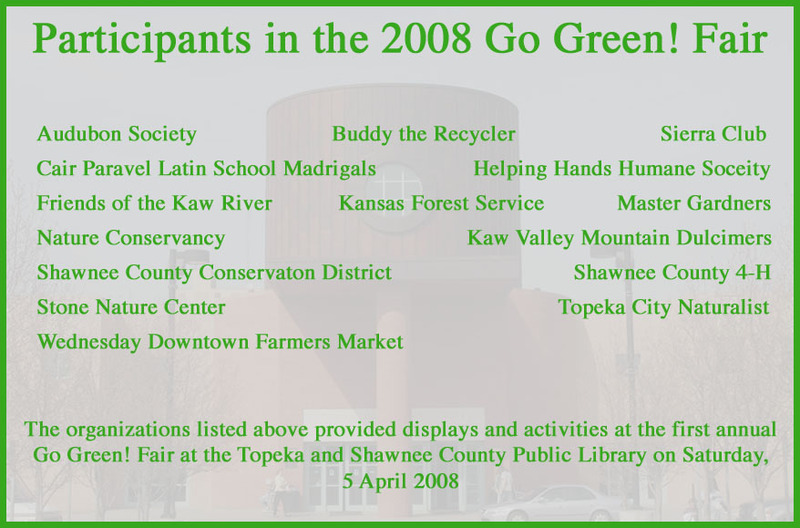 Several NHJH students along with students and adults from the Topeka and Lawrence area participated in the first annual Go Green Fair that was held at the Topeka and Shawnee County Public Library on Saturday, 5 April 2008. 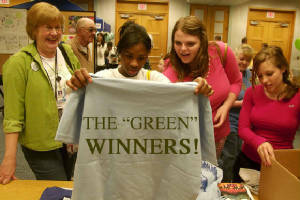 Freshman students from NHJH took the top three places in the Go Green Poster contest that was a part of the event. 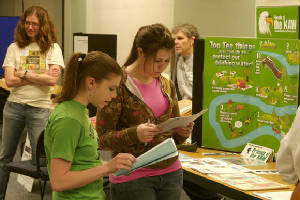 People of all ages and backgrounds attended the free environmental event. 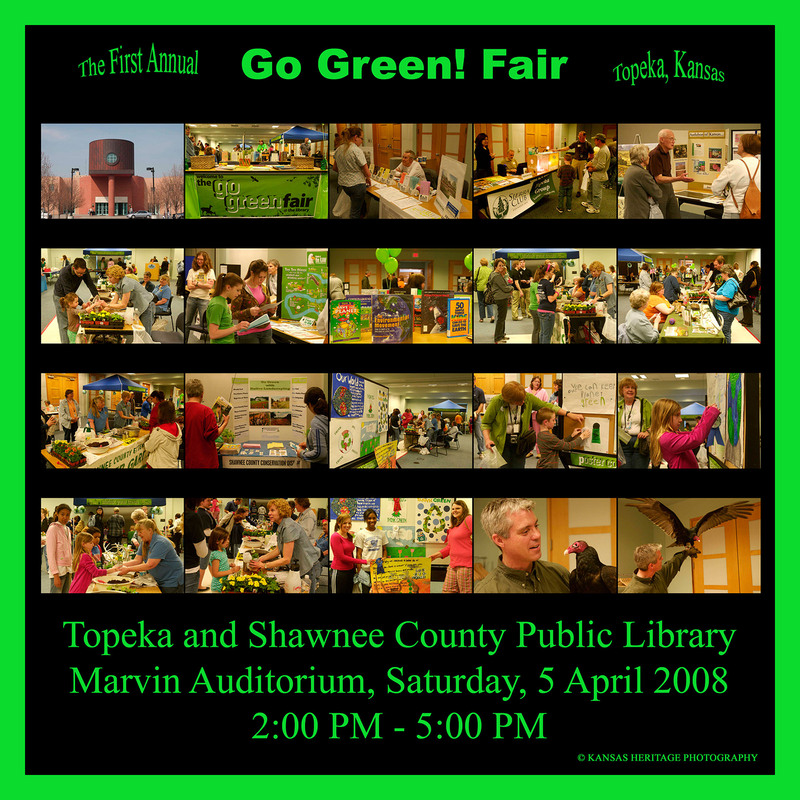 Information in regard to future activities can be obtained by contacting the Topeka and Shawnee County Public Library at 785-580-4608. NHJH freshman at the Go Green Fair. Three high school poster winners choose a prize. A "Green" winner with her ribbon and prize. 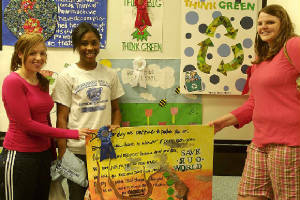 High school "Go Green" poster prize winners. Click on this text to go to the NORTHERN HILLS JUNIOR HIGH SCHOOL biology website. Click on this text to go to the TOPEKA AND SHAWNEE COUNTY PUBLIC LIBRARY website. All of the above photography is courtesy of KANSAS HERITAGE PHOTOGRAPHY of Wakarusa, Kansas. Click on this text to go to their site.